SAVE UP TO $1,650 ON A NEW CARRIER A/C & HEATING SYSTEM. Or, get 0% Financing for up to 72 months! 1-Year Maintenance Agreement with 10-year parts and labor warranty. Carrier Rebate savings range from $0 to $1,650 on qualifying systems. Rebate subject to change. With approved credit. Financing terms contingent upon system selected. 10-year parts and labor warranty applies to original homeowner with required maintenance. Contact Air Conditioning by Luquire for details. Call Air Conditioning by Luquire for details. On select Carrier heating and cooling systems with approved credit. Contact Air Conditioning by Luquire for details. Cannot combine offer. Must present at time of service. Contact Air Conditioning by Luquire for details. Shopping around for specials is always a good idea. At Air Conditioning by Luquire, we offer money-saving deals on everything from new AC installation to preventive maintenance. Get free estimates on HVAC system installations, upfront pricing, no overtime charges, and a one-year guarantee on all AC repair services. When it’s time for a heating or cooling upgrade, Montgomery, AL, residential and commercial customers can save big with Air Conditioning by Luquire. With rebates and incentives, HVAC systems are more affordable than ever. New heating and new AC installations by Carrier are currently priced at just above cost. Even a new thermostat can save you money. You can save about $180 a year with a digital, programmable thermostat. Energy-efficient heating and cooling upgrades can save you so much on monthly utility costs that the new system pays for itself quickly. The best time to get your HVAC equipment tuned is just before the warm and cool seasons begin. Our furnace System Check Special gets your system ready for winter and ensures that heating equipment operates safely. Our AC System Check Special prepares your system to keep you comfortably cool and saves on AC repair services. Air Conditioning by Luquire offers comprehensive commercial maintenance agreements for HVAC, heating, and air conditioning systems. We safeguard your investment and ensure your employees remain comfortable and your quality compliance regulations are upheld. Commercial maintenance agreements also work to keep costs low, as poorly kept systems are more expensive to maintain and consume more energy throughout the year. Heating & air conditioning are by far the largest energy users in your home. So when you’re faced with choosing a heating and air unit for your home, connect with us for current financing information. We accept Visa, MasterCard, Discover, and American Express. And of course, cash and personal checks are always welcome. Why Tie-up Your Existing Funding Sources? Save thousands on a new Carrier HVAC system at AC by Luquire. With prices just pennies over cost, there’s never been a better time for an energy-efficient upgrade. Some of our customers save enough on monthly utility bills to offset the new installation over time. Receive 100% financing from Alabama Power with approved credit. You can even put the payments on your power bill. 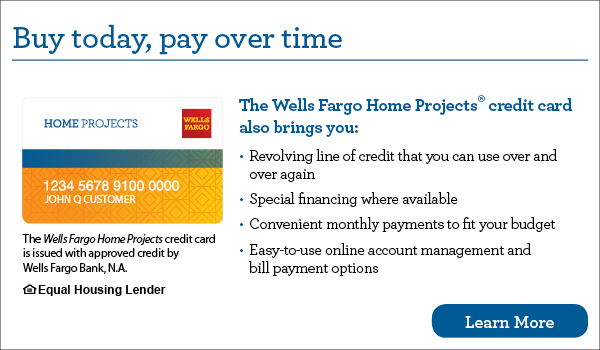 Quick Credit Decisions – contact us for more information!